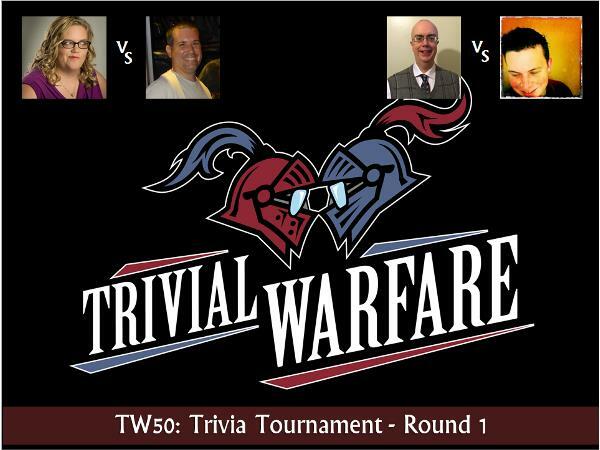 This week we kick off the Trivial Warfare Listener's Tournament! This week's show features two first round matchups. The first matchup is our very own Chris Hollister vs Always Listening's Joel Sharpton. Chris is trying to defend the home turf while Joel is trying to avoid being the only person to lose 4 guest appearances. In the second game we have my brother Bob vs. the Sports Gal Pal Ramona Rice. Ramona is determined to have a better showing after her teams collapse in the All Sports Crossover last summer while Bob needs to win to prevent his younger brother (i.e. me) from mocking him mercilessly until the end of his days. This episode is filled with a lot of fun and a ton of laughs. Let me know what you think at trivialwarfare@gmail.com.